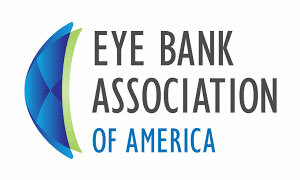 Significant advances have been made in the field of eye banking, cell terapy and ocular regenerative medicine. Fondazione Banca degli Occhi del Veneto (Veneto Eye Bank Foundation) is currently pursuing the following research topics, to evaluate new challenges and new possibilities for biobanking and ocular clinical and therapeutic treatments for patients. The project “Effect of Different Corneal Preservation Medium and Conditions on Pre-loaded Descemet Membrane Endothelial Keratoplasty (DMEK) Grafts”, supported by the EBAA “Richard Lindstrom Research Grant” in 2017, aims to determine the viability and biomechanical behaviour of pre-loaded DMEK grafts when preserved in organ culture medium (dextran based) at 31oC and Optisol-¬‐GS at 4oC. The project has been proposed by the principal investigator Mohit Parekh, PhD., Veneto Eye Bank Foundation, and other investigators and collaborators: Alessandro Ruzza, BSc., and Stefano Ferrari, PhD., Veneto Eye Bank Foundation, Venice, Italy , Vito Romano, MD., Moorfields Eye Hospital,London, UK, and Stephen Kaye, MD., University of Liverpool and Royal Liverpool University Hospital, Liverpool, UK. DMEK has shown a higher rehabilitation rate and better visual outcomes, but it is not taken up widely due to the challenges required in preparation and implantation techniques. Tri-folded (endothelium-¬‐in) DMEK grafts preloaded in a single use device and stored up to 4 days are expected to show limited endothelial damage when preserved with medium supplemented with dextran. Working together with eye banks to provide such preloaded DMEK grafts will reduce the cost, preparation issues and tissue wastage and reduce surgical time which will facilitate the uptake of DMEK. The effects of different media and conditions will verify the use of specific medium and conditions for pre-loading DMEK grafts in countries using organ culture system or hypothermic method. The European Cornea and Cell Transplantation Registry (ECCTR) is a European Consortium that aims to build an EU web-based registry in the field of cornea and to asses and verify the safety quality and efficacy of (new) human tissue transplantation in ophthalmic surgery.The aim of the project isto build a common assessment methodology and establish an EU web-based registry and network for academics, health professionals and authorities to assess and verify the safety quality and efficacy of (new) human tissue transplantations and in ophthalmic surgery. 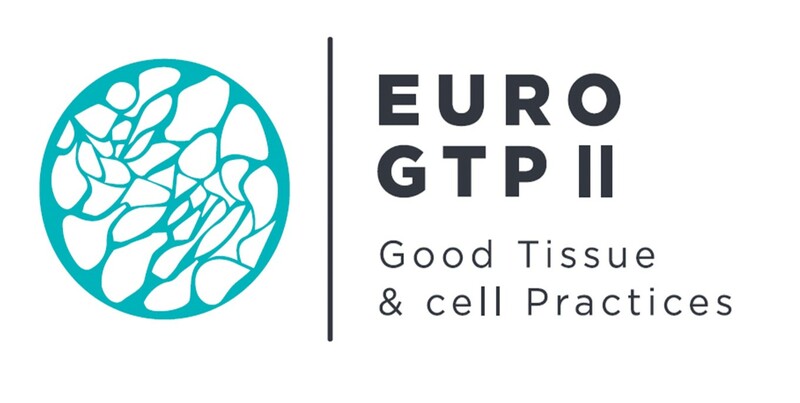 Good Practices for demonstrating safety and quality through recipient follow-upis a 3 year Project co-funded by the 3rd Health Programme of the European Union under the Grant Agreement number: 709567.This project aims to set up the good practices applied to tissues and cells (T&C) preparation processes and patient follow-up procedures.EuroGTP II intends to provide practical tools which will assist Tissue Establishments and Organizations Responsible for Human Application, in the implementation of technical requirements defined for the assessment and verification of the quality, safety and efficacy of therapies with human T&C. Moreover, these tools will be developed in accordance with the regulatory principles, legislation and good practices, and will be made available to National Competent Authorities (NCAs), hence facilitating also the evaluation and the authorization procedures. European Reference Networks are virtual networks involving healthcare providers across Europe. They aim to tackle complex or rare diseases and conditions that require highly specialised treatment and a concentration of knowledge and resources.Following the first call for proposals in July 2016, the first ERNs were approved in December 2016. The networks comprised more than 900 highly specialised healthcare units located in 313 hospitals in 25 Member States (plus Norway). 24 ERNs are working on a range of thematic issues, including bone disorders, childhood cancer and eye diseases. Over the next 5 years, ERNs are expected to reinforce their capacities to benefit thousands of EU patients suffering from a rare or complex condition. Rare Eye Diseases (RED) are the leading cause of visual impairment and blindness for children and young adults in Europe. More than 900 REDs are listed in the portal for rare diseases and orphan drugs (ORPHANET). These include more prevalent diseases such as retinitis pigmentosa which has an estimated prevalence of 1 in 5 000, as well as some very rare entities described only once or twice in medical literature. ERN EYE addresses these conditions in four thematic groups: rare diseases of the retina, neuro-ophthalmology rare diseases, paediatric ophthalmology rare diseases, and rare anterior segment conditions. In addition, six transversal working groups are addressing issues common to the four main themes. Additional working groups focus on specific areas, including genetic testing, registries, research, education, communication and patients.The network’s main aim is the development of a virtual clinic — known as EyeClin — to guarantee the best coverage of REDs and facilitate cross-border dissemination of expertise. Fondazione Banca degliOcchi del Veneto together with the Ophthalmology Department of the AULSS3 SerenissimaDell’Angelo Hospital are one of the 29 HealthCare Providers (from 13 different European countries) which form the ERN EYE. More details can be found at http://ec.europa.eu/health/ern/policy_en and a specific web-page will be soon created. Corneal blindness is a worldwide problem and can be treated by transplantation of donor human tissue, or by implantation of artificial, non-biological corneas. However, there is a great lack of donors worldwide and current implants are either expensive or do not integrate well. The solution may be found in the development of biodegradable artificial corneas, consisting of bio-matrices seeded with host limbal stem cells. However, current emerging research is in its early stages and fragmented among research institutes throughout Europe.ThisCOST Actioncombines scientific, clinical and industrial knowledge in the field of corneal regeneration. The Ectrodactyly-Ectodermal dysplasia-Clefting (EEC) syndrome is a rare autosomal dominant inherited disease characterised by ectrodactyly (split-hand-foot malformation), ectodermal dysplasia and cleft lip and palate. It affects the skin, nails, hair, teeth, sweat glands and the ocular ectodermal derivatives. However, the major cause of visual morbidity is limbal stem cell failure, resulting in recurrent corneal ulceration, neovascularisation and spontaneous corneal perforation. The progressive keratopathy associated with limbal stem cell failure results in a dense vascularised corneal pannus, leading to progressive corneal clouding and eventually visual impairment. EEC syndrome is caused by heterozygous missense point mutations in the p63 gene, a “molecular activator” essential for the regeneration of adult epithelia.The aim of this project is to make all the necessary steps towards a clinical study on patients affected by EEC syndrome. It is a collaborative project between Fondazione Banca degliOcchi del Veneto and the Department of Molecular Medicine of the University of Padova. The project is currently funded through a grant from the French Muscular Dystrophy Association (http://www.afm-telethon.com/) and the “5 per Mille” funds of the Ministerodella Salute and Ministerodell’Istruzione, dell’Università e della Ricerca.